US 50 past Dillsboro to rt on County Line to lt on Wilkerson Rd. Sign on. Sweeet! Beautiful, private setting - minutes to US 50! 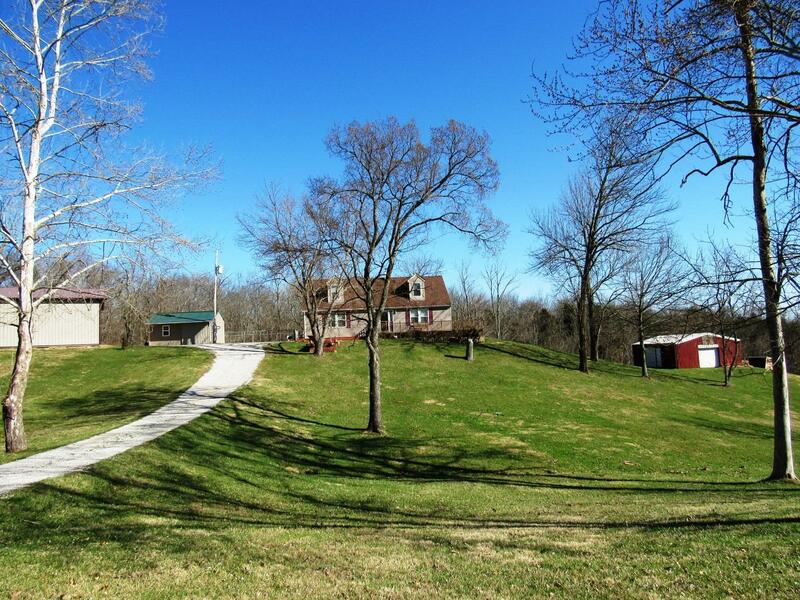 Lrg 4 bd home sits on over 10 acres to enjoy outdoor activities. Nice, newer, 30x60 pole barn garage w/space for 4 cars & workshop, lots of storage. 2nd multi-use barn for animals or storage. In-grnd pool, patio, front & side decking w/cvrd back porch/deck overlooking valley. Well-maintained. NOTE: This property was sold on 4/13/2018 and is no longer available. The details listed below are believed accurate to the date of the sale and are subject to change.